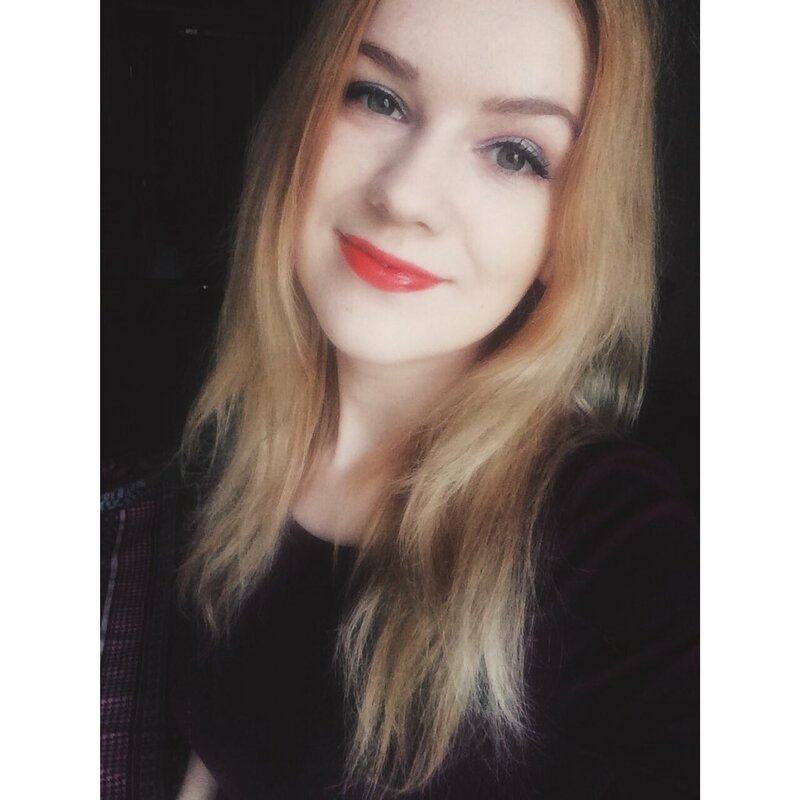 First of all, I want to say a huge thank you to all of you for reading my blog. Last days have been amazing, my blog is having the biggest traffic ever and I can't stop smiling. It makes me so proud and even more inspired to keep on writing. It also one of the main reasons why my mind is full of an idea for a lot of new cool posts to publish. And on of them, you are going to read right now. And that's why to make you fall in love with this site I will show you 6 cool and amazing stuff we both found there and are going to order. 1. His side Her side bedding sets - Show me one girl, who wouldn't want this. I think they kind of doesn't exist right? 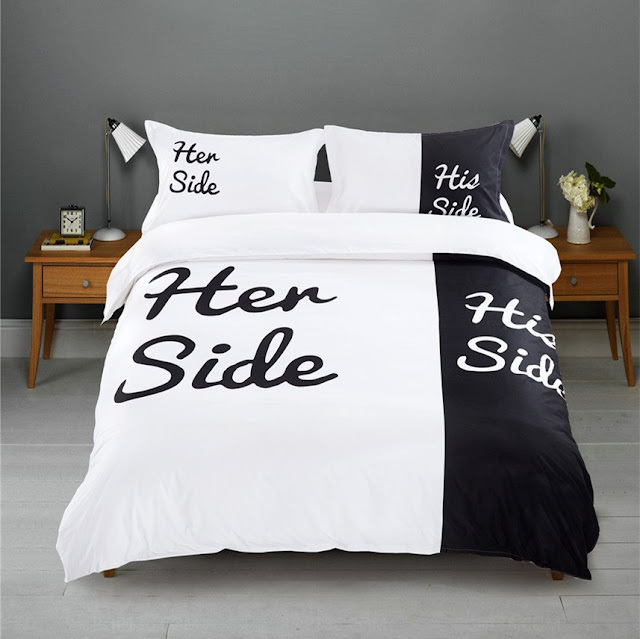 This bedding set is not only a funny thing for your bedroom but also is a fantastic gift for a couple on their anniversary or just married. You can find there also ones with king & queen, Mrs & Mr or with lipstick print and moustaches. And it's not that expensive. 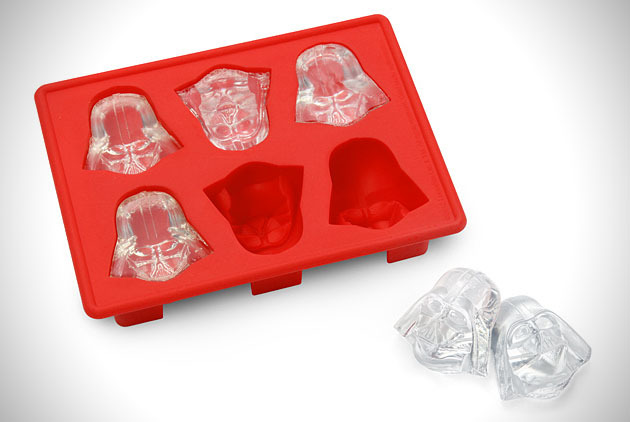 2.Star Wars Ice Cube Trays - Just imagine how cool your party would be if yu would make cocktails using these cool ice cube trays. Also, it's a perfect gift for a huge Star wars fan. Not expensive at all but mind that you won't have enough just with one piece of these if you really plan to use it for parties and like that. 3. 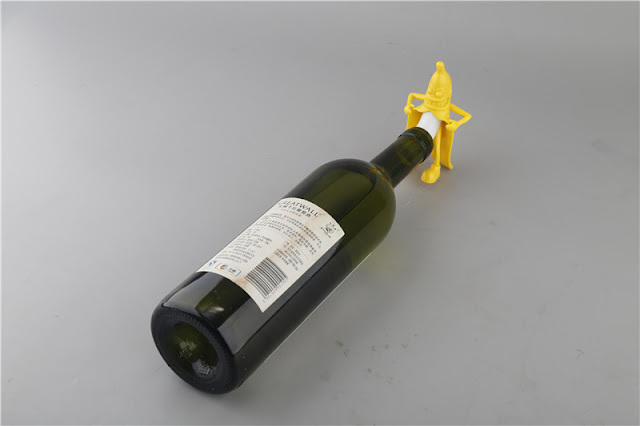 Mr Banana Wine Bottle CorkStopper - Love enjoying a glass of wine in the evenings? But don't like to leave the bottle open?Well, AliExpress has a funny soliton for this.Mr Banana cork stopper. ( or you can say stripper as well) This definitely will bring a lot of laughs out of your guests. 4. 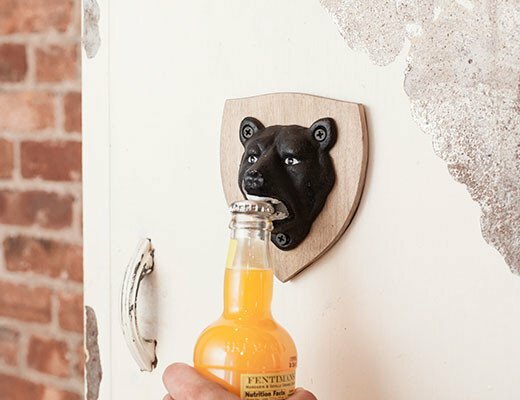 Bear design beer opener- This, I think, is the best gift you can give to your male friend or boyfriend. A cute little piece, will look great in the kitchen and is also useful as hell. Because let's be honest, beer opener tends to get lost whenever you need it the most, but this one will stay stuck on the wall. 5. Hexagon shape earphone adapter - This honestly is a must have for all friend groups, couples, sisters, brothers and etc. I have had a lot of moments when I wish I would own earphone adapter. But, you look at this one, 6 people at the same time can listen to one music from one phone. Not so sure if it will be comfy but still. 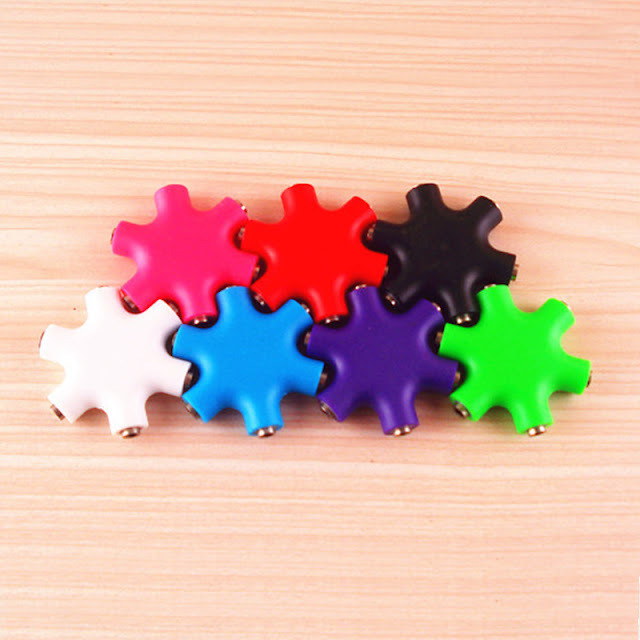 And you can choose from different bright colours. 6. Black and yellow striped knee socks - If you have read or watched Me before you, then you might as well understand why these socks are on this list.I absolutely love wearing crazy tights or knee socks, that's why it's pretty understandable that these ones soon will be in my closet as well. These are just some things that we found there, honestly, you can spend there the whole day just looking at cool stuff you want. I'm pretty sure these things you are also able to find in other online shopping sites, but let me just fangirl about AliExpress okay? What's your favourite online shopping place? I absolutely love that bed spread how accurate for my life haha. Hints for a perfect Spring outfit.